I thought that I have not woven as much as in last months. Well... picture proves something else. There are 12-15 cm more to weave.. 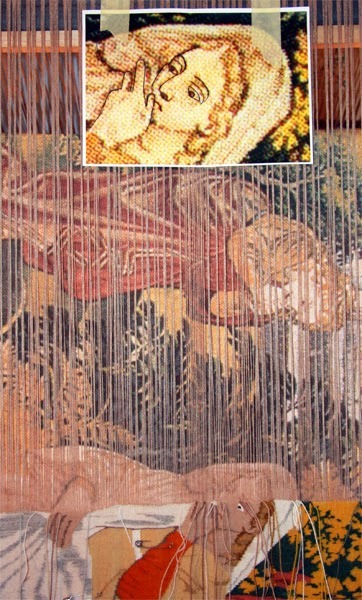 I had problems to see how to weave face of Lady in Waiting. So, I printed face in to paper and draw my best guess in to it. Cartoon quality is quite bad in some places.